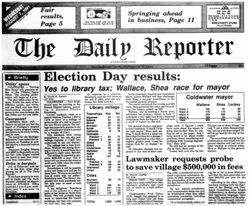 By far, the library's primary source of funding comes from property tax levies (millages). We have a permanent millage of 0.6048 mills. (This millage was originally 0.7 mills and reduced by the Headlee Amendment.) 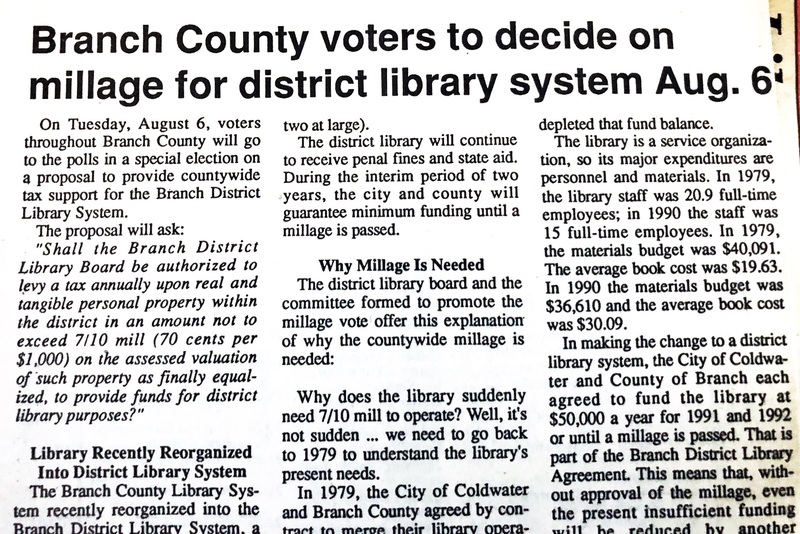 This millage was voter approved on August 6, 1991 in 7 out of 16 townships in Branch County and both cities of Bronson and Coldwater. 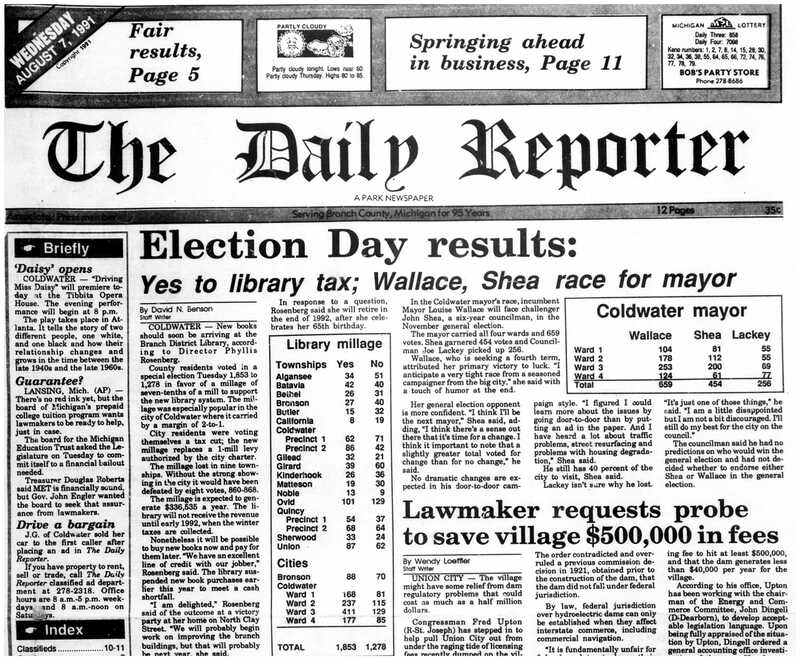 The final vote tally was 1,853 to 1,278. 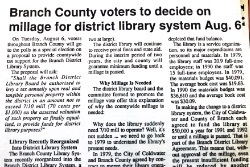 On August 5, 2014 Branch County voters approved a second 8-year millage. It is currently 0.4999 mills, reduced from 0.5 mills by the Headlee Amendment. This millage will be in effect from 2015 through 2022. The millage passed in all precincts, with a county-wide 71% yes vote (4281 to 1735). 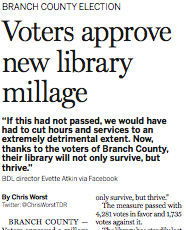 The overwhelming level of support for the library is amazing, and we are so appreciative for it! Penal fines make up the other major component of our funding, about 15-20% of the total. Penal fines are provided by law for Michigan libraries after court costs and other fees are subtracted for a variety of vehicle infractions at the district and municipal court level. The remainder of our funding comes from direct State Aid to Libraries, late fees, donations, reimbursements, and other miscellaneous income. Full details can be found in our budget documents and audit reports. BDL gladly accepts donations in any amount, for any purpose, and at any time.